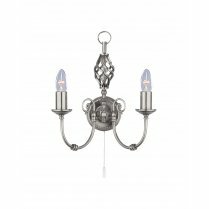 Searchlight presents the Paris range of crystal chandeliers, available in antique brass or satin silver with clear crystal decorations. 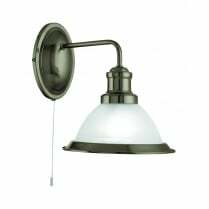 Each fitting in the Paris line requires E14 (small edison screw) bulbs with a maximum wattage of 7W each, and all apart from the wall lights are compatible with a dimmer switch. 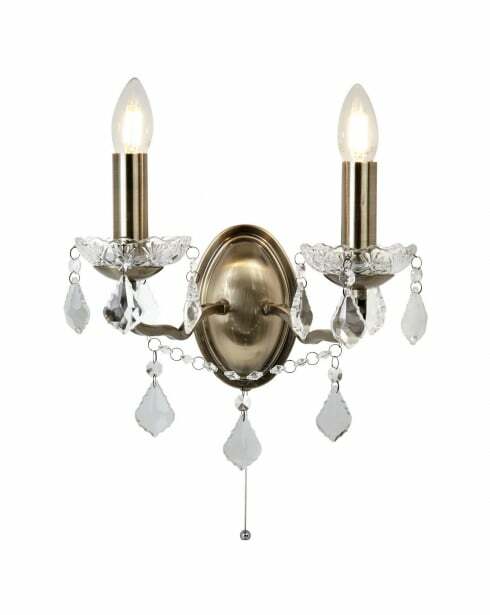 Suitable bulbs can be found in the accessories section of our website and if used with a dimmer, care should be taken to ensure that the fitted bulbs are also dimmer compatible. 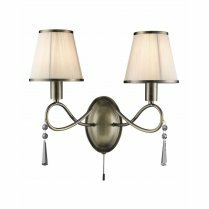 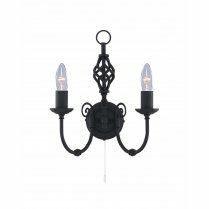 The 8733-3AB is a two light wall fitting finished in antique brass and has a height of 27cm, a width of 32cm, and projects 22cm from the wall. 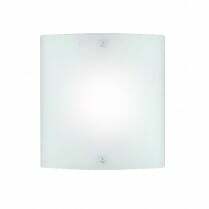 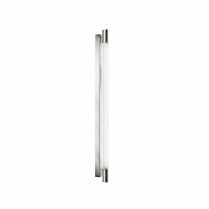 The Paris wall fitting is supplied with a built-in pull switch and is not compatible with a dimmer switch.